Officer on rooftop: Give me your hand. Give me your hand. Q: What did Martin Scorsese write about "Vertigo"? Q: Where was [insert name of place] filmed? Q: Who is Carlotta Valdez? Over the years, this film has been regarded as one of Hitchcock's masterpieces. Its been called the most personal, emotional, and complex of Hitchcock's films. 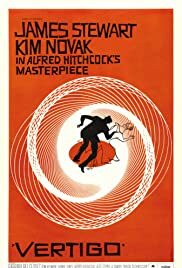 I agree with all of these things except for one, this film IS Hitchcock's masterpiece work. All of the others pale in comparison to this. 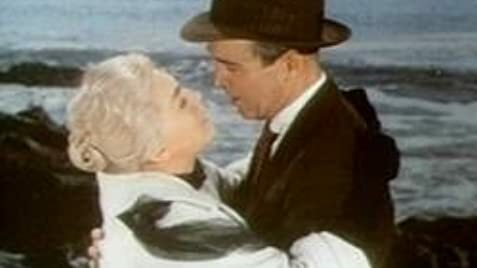 There are phenomenal performances here by Jimmy Stewart who plays the biggest anti-hero of his career and Kim Novak whose stunning beauty and exceptional personalities shine through this dark film. Barbara Bel Geddes provides great support as well. Everything about this film, the cinematography, the story, the depth, etc. leaves you mystified and transfixed on this dizzying, surreal artwork of a film. It truly is flawless. If you are a Hitchcock fan and haven't seen this you need to get up right now and buy, not rent, this as soon as possible! 247 of 362 people found this review helpful. Was this review helpful to you?